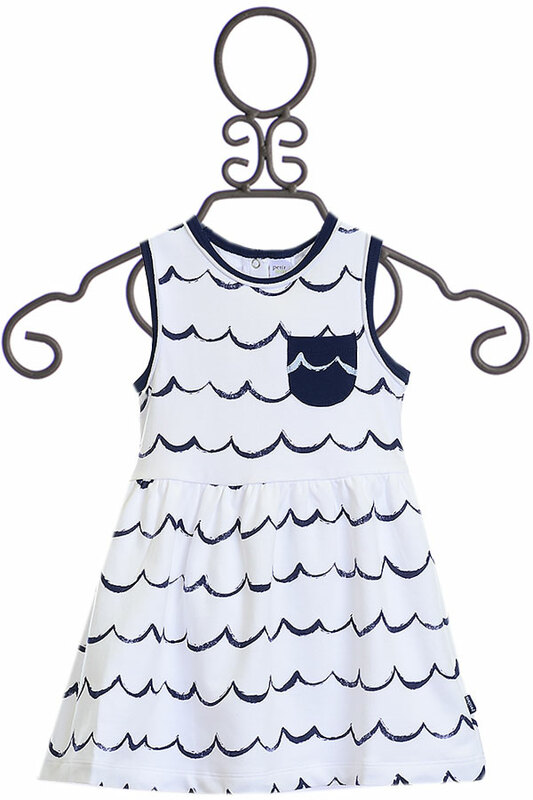 $19 - A new arrival for baby girls, this infant dress was designed by Petit Lem. We love the carefree spirit that reigns through the waving stripes that look hand drawn. A reversed print makes the only navy pocket found on the bodice. The same dark blue lines the sleeveless neckline and matches the onesie bottoms hidden under her skirt. 95% Cotton and 5% Spandex. Machine Wash Cold, Tumble Dry Low.